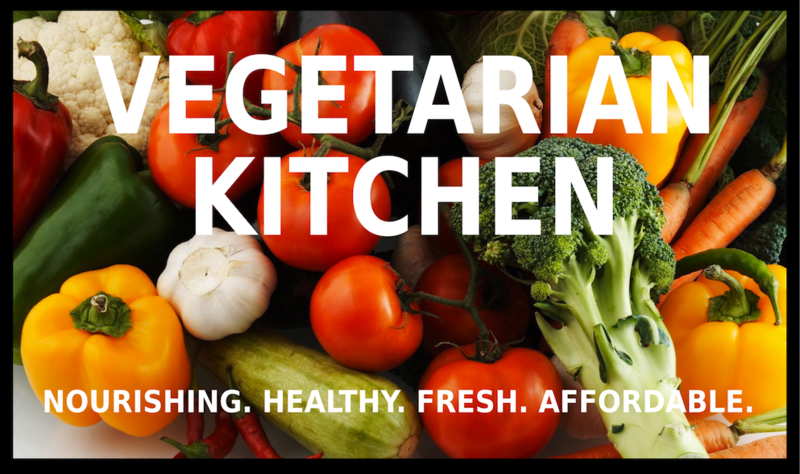 Hi and welcome to our vegetarian kitchen where, each week, there will be recipes for dishes from all around the world - all nourishing, cheap and interesting. You won't be asked to search the woods and forests for wild funghi, neither will you have to gather your own herbs and spices. All ingredients will be affordable and available at your local supermarket. Hi and welcome to our Vegetarian Kitchen. This week we have a taste of Italy - Pepperonata Sauce. This sauce is made with all those wonderful Mediterranean vegetables and is delicious served with anything. You decide. Slice peppers into narrow strips. Chop the onion and garlic. Chop the fresh tomatoes. Gently fry onions, add garlic. Add sliced peppers to pan and stir, and cook gently for 10 minutes. Stir occasionally. Add the tomatoes and stir. Cook very gently for 30 minutes until the sauce becomes thick and the vegetables are broken down. Stir during this process. If the sauce becomes too thick or sticks to the pan, add more Olive Oil. Serve this sauce with pasta, with vegetable escallops or even vegetable burgers. You decide! Hi and welcome to our vegetarian kitchen where, each week, there will be recipes for dishes from all around the world - all nourishing, cheap and interesting. You won't be asked to search the woods and forests for wild funghi, neither will you have to gather your own herbs and spices. All ingredients will be affordable and available at your local supermarket.There will be recipes for soups with their roots not only in this country but added influences from the sunny Mediterranean and the Middle East. With our Indian curries we will also give recipes for yoghurt dips and salads to balance the spices. There will be many pasta and rice dishes, and no vegetarian kitchen would be complete without the pulses - those nourishing beans and lentils that are such a cheap source of protein. Lastly, but most importantly, the vegetables. We will always use what is in season whenever possible but also anything plentiful in the shops. Have you noticed how some vegetables seem to be available all year? So again welcome, and do visit our veggie kitchen every week to try our recipes. Happy eating! © 2011 www.vegetariankitchen.co.uk. Simple theme. Powered by Blogger.